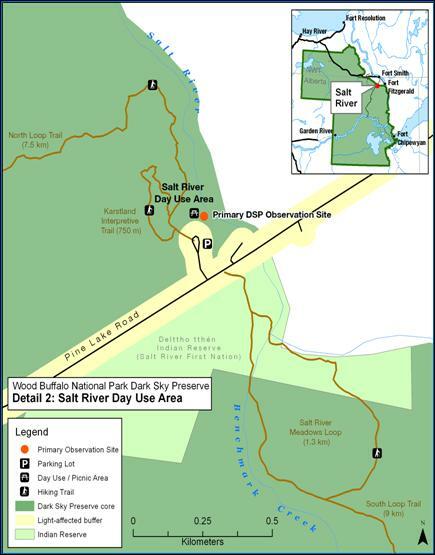 Aug 2, 2013: The Royal Astronomical Society of Canada (RASC) officially designated Wood Buffalo National Park as a RASC Dark Sky Preserve through its National Certification Program. 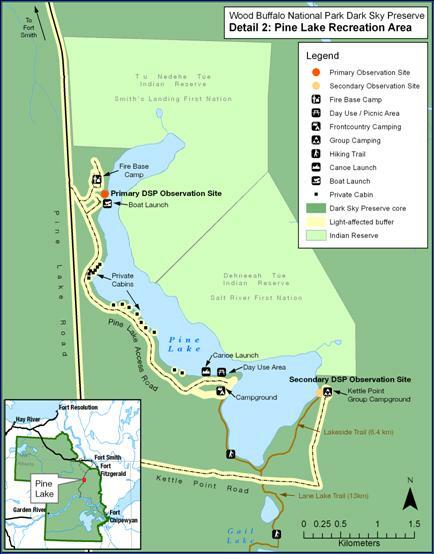 Wood Buffalo National Park was the 17th Dark Sky Preserve in Canada, and the first northern park, to be designated by RASC. Wood Buffalo National Park straddles the Alberta - Northwest Territories border and is the largest National Park in Canada. With an area of 44,807 km2, it is larger than all dark sky sites in the world combined. With this designation, Wood Buffalo National Park is committed to protecting the night environment from the impact of artificial lighting. 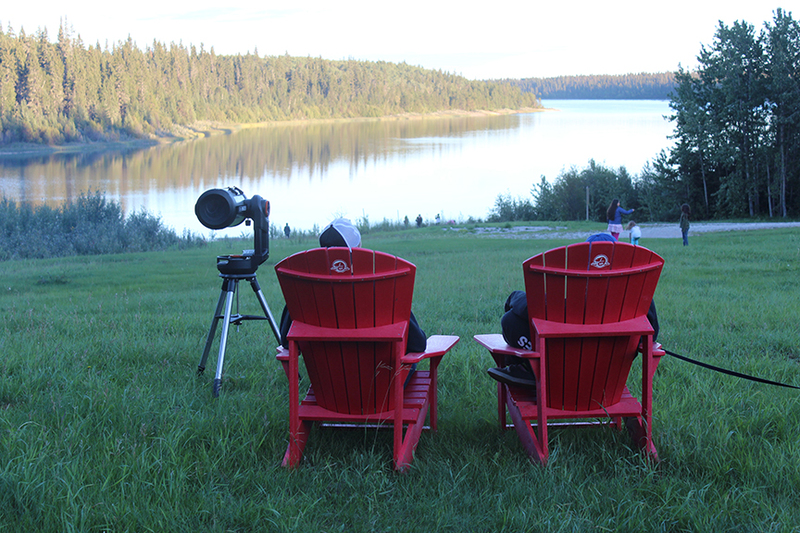 Together with RASC, Parks Canada Agency recognizes that natural darkness is an ecological resource in need of protection and both organizations are committed to lighting practices that preserve the beauty and wonder of the dark sky and night environment for all Canadians to enjoy.